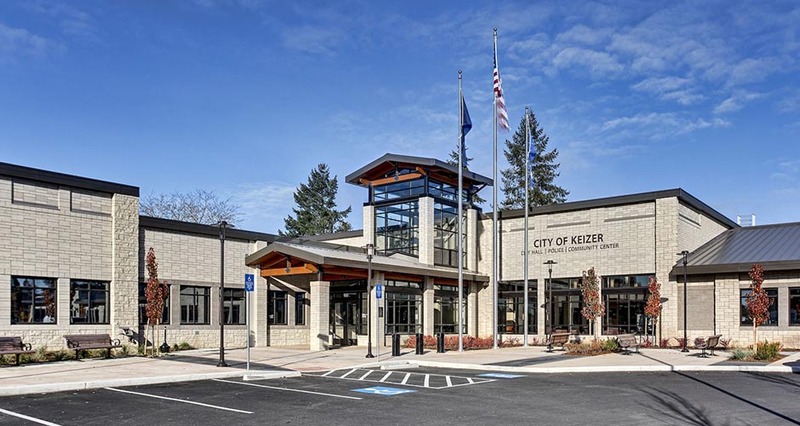 Mackenzie provided comprehensive A/E services for the LEED Silver-certified Keizer City Hall, Police Facility, and Community Center and accompanying 2-acre park (designed concurrently). 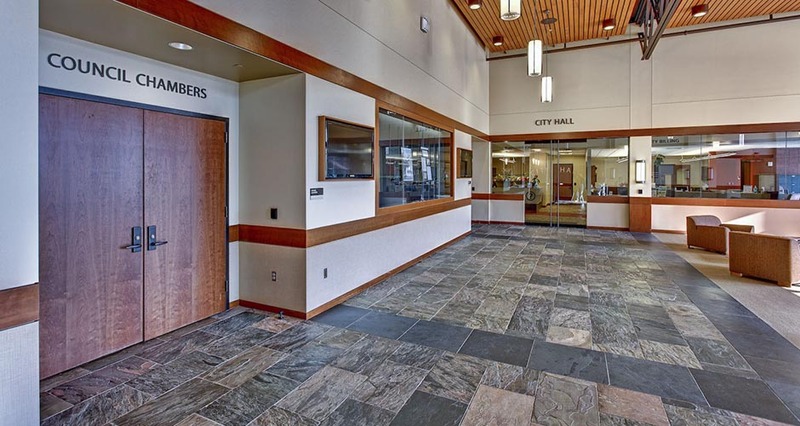 The combined facility strengthens serviceability and interaction between elected officials, city staff, police, and citizens. 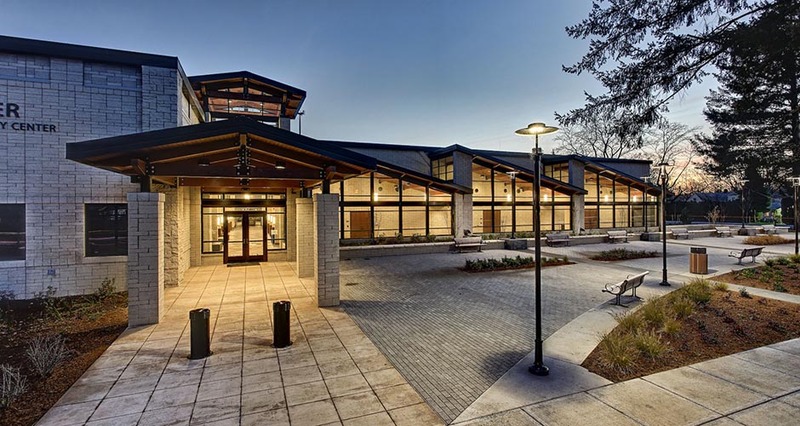 The 70,000 SF building is anchored by a 20,000 SF public community center and council chambers flanked by city hall and police station wings. The design emphasizes functionality in the wings with open, inviting public spaces in the building core. The goal of the park was to create a vibrant and active public space to serve a wide variety of users and community events. An extensive public participation process, including workshops, design review meetings, and collaboration with community advisory groups, informed the design. 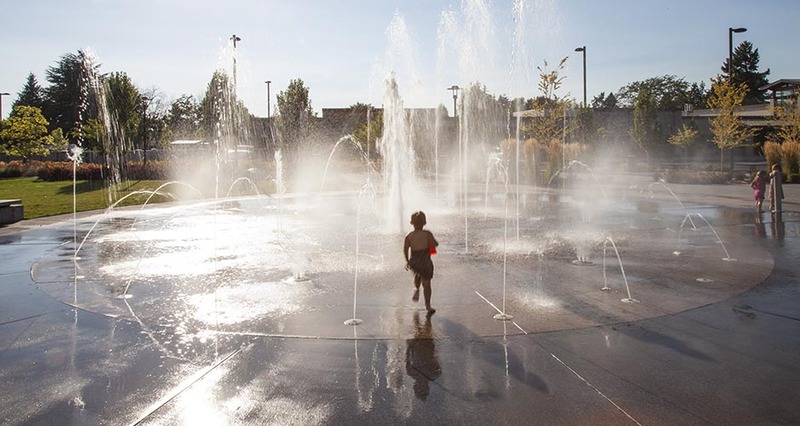 Park improvements include a loop walkway that creates a central green, a plaza for special events, an interactive water feature, perennial gardens, a gazebo, and numerous seating and picnic areas. The streetscape plaza serves as a welcome mat for the City Hall and gateway to the community. 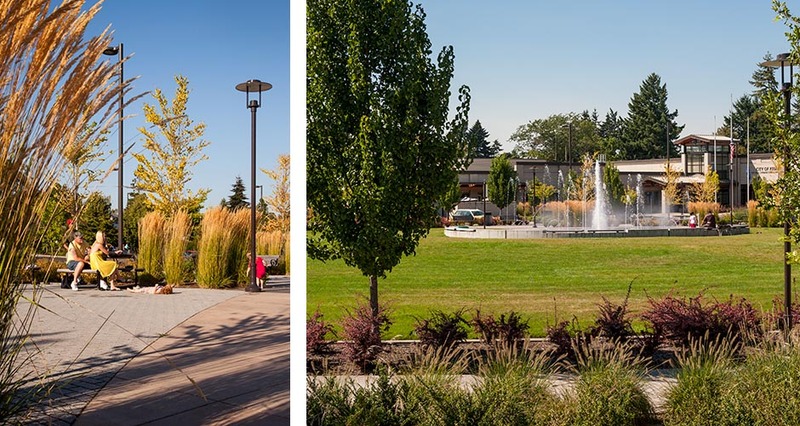 The design preserves heritage Douglas Fir trees and incorporates sculpture to convey and enhance the community’s history. 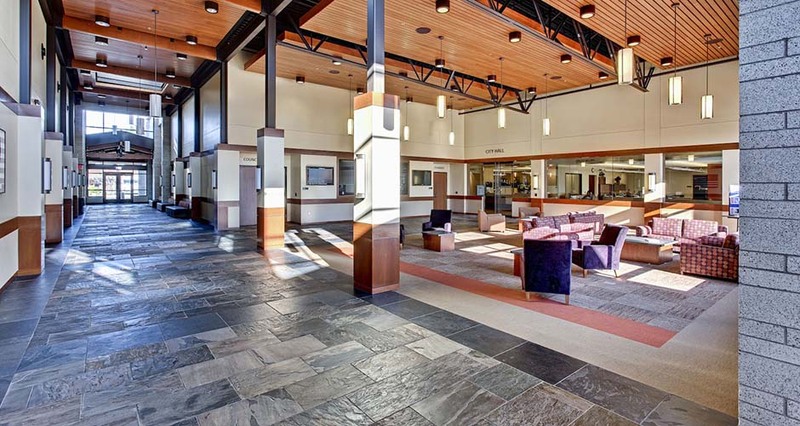 A variety of seating and gathering areas are provided for civic events and informal meetings. 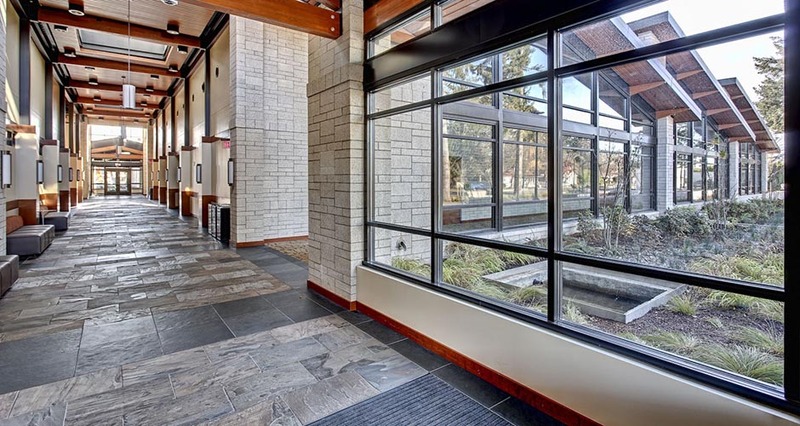 Site stormwater is collected and treated in features including an entry view garden and a series of streetscape planters. Existing development on the 10-acre site included several buildings and a skate park. 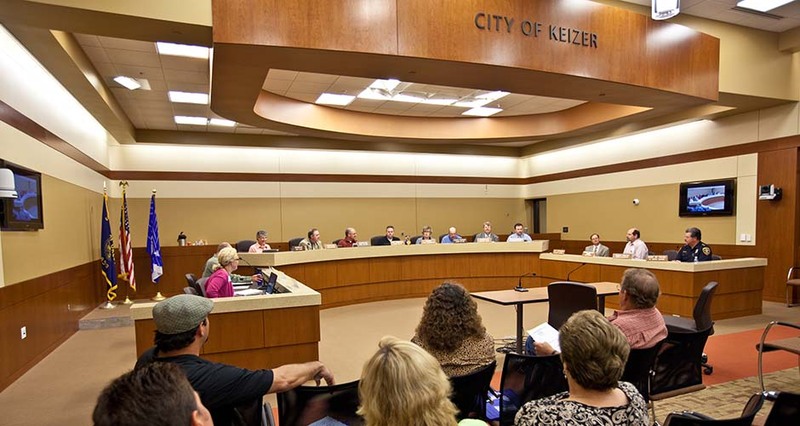 The collective grouping of new and old facilities forms a unified civic center designed to inspire civic pride and anchor the future urban heart of Keizer. Construction of the new facilities on an extremely constrained site required thoughtful phasing and careful construction to allow continued, uninterrupted police and city hall functions and continued parking and access for other functions, as well as a well-planned, phased deconstruction of the existing buildings as portions of the new facility became operational.